Probiotics Are Bacteria That Line Your Digestive Tract and Support Your Body’s Ability to Absorb Nutrients and Fight Infection. Your Body Contains About the Same Number of Gut Bacteria Molecules as It Does Cells for the Rest of Your Body, So It’s No Wonder Your Gut Is So Important to Your Health. Your Skin and Digestive System Alone Host About 2,000 Different Types of Bacteria. 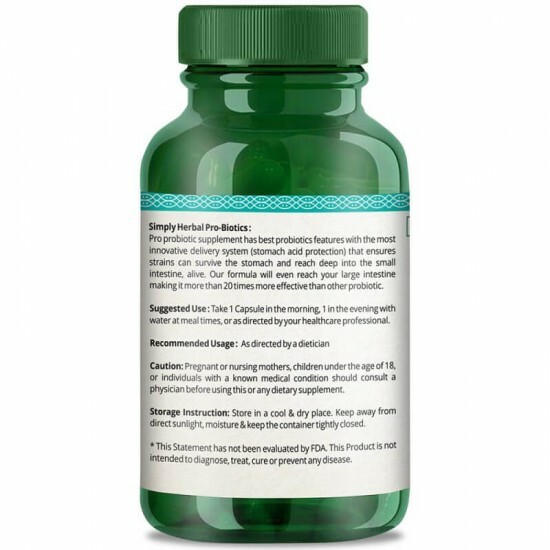 Probiotics Benefits Have Been Proven Effective in Supporting Immune Function, Reducing Inflammation, Promoting Healthy Digestion, as Well as Maintaining Beautiful Skin. 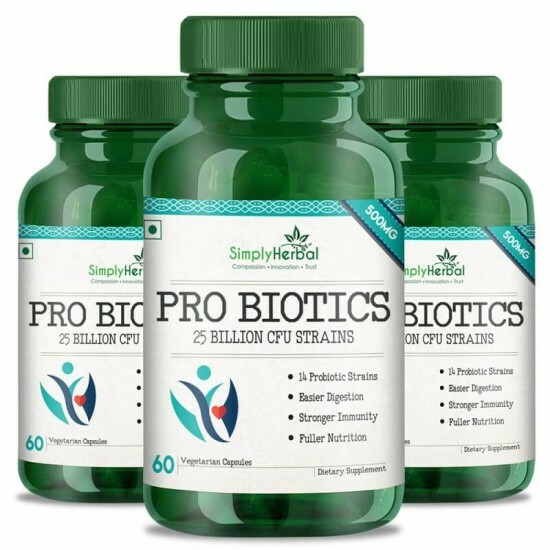 Pro-Biotics Digestive Health: The First Major Benefit of Probiotics Is as a Promoter of Good Digestive Health. Probiotics Are Generally Beneficial. Eating Foods Rich in Good Bacteria and Using Probiotic Supplements Helps in Reducing Inflammatory Bowel. Decrease in Antibiotic Resistance: The World Health Organization Considers Antibiotic Resistance One of the Biggest Threats to Global Health, Food Security and Development Today. By Using Probiotics, It’s Possible to Help Rebuild a Poor Variety of Gut Bacteria Often Seen After a Course of Antibiotics. Healthy Skin: Many Avenues of Research Have Examined Probiotics Benefits for Skin. 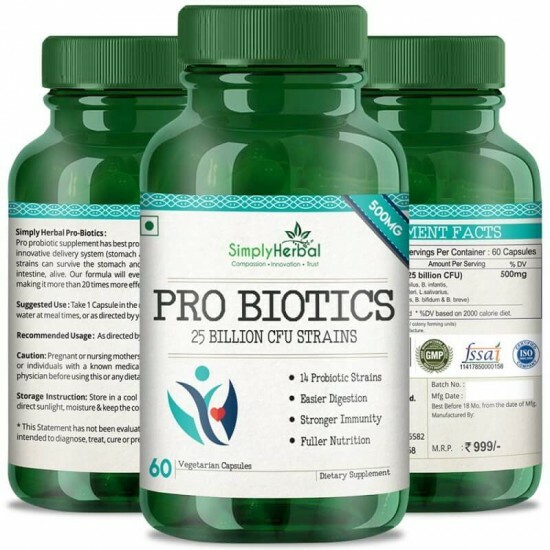 The Skin Benefits of Probiotics Seem Also to Be Connected to the Reduction of Inflammation Seen in Healthy Gut Bacteria. Probiotic Can Also Reduce Skin Inflammation. 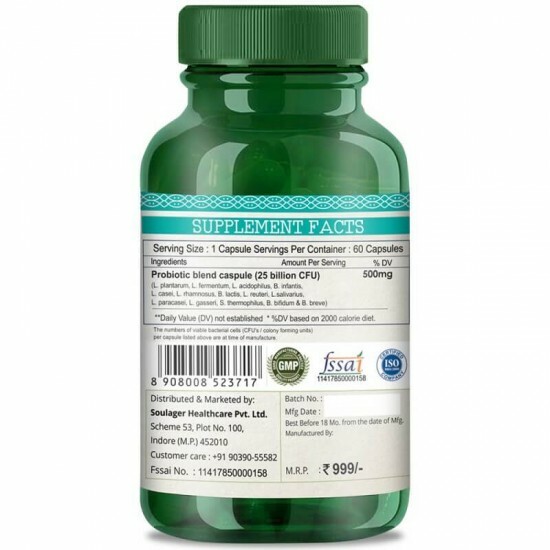 25 Billion CFU Formula: Each Simply Herbal Probiotic Capsule Delivers 25 Billion Beneficial Bacteria to Your Gut.